Fangorn (S. ‘Beard-of-Tree’) was the name given to both the great Forest which stood on the eastern side of the Misty Mountains and the bearded Ent who guarded over the strange land (in Westron he was called Treebeard, while Celeborn referred to him as Eldest). Both were of extremely great age; Treebeard himself claimed that the Forest had seen over three Ages, while he was the oldest surviving Ent (and therefore deemed the oldest living being in Middle-earth). With the Old Forest in the Shire, Fangorn was one of the remnants of the great woods of the Elder Days. But both forests contained deep vales from which the Great Darkness had never been purged (these regions Treebeard called Taurelilómëa-tumbalemorna Tumbaletaurëa Lómëanor, or ‘Forestmanyshadowed-deepvalleyblack Deepvalleyforested Gloomyland,’ which more literally translates as ‘there is a black shadow in the deep dales of the forest’). During the last century of the Third Age, the Orcs of Isengard did great damage to the forest, but were quickly stopped when the Ents destroyed Isengard at Treebeard’s command. 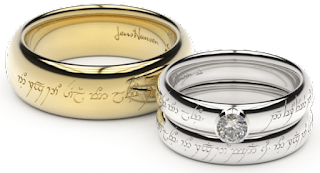 The Rohirrim referred to the forest as the Entwood; Fangorn the Ent applied the epithets Ambarona, Tauremorna, Aldalómë, and Tauremornalómë to the forest. Was Treebeard even older than Tom Bombadil? I don't believe an accurate answer is given anywhere. 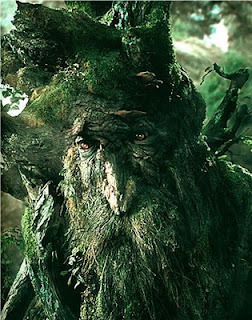 Bombadil, while his age is unknown, is often referred to as the First; Treebeard is Eldest. This could either mean that the great forests of Beleriand came first and as they started to dissipate, Bombadil came into being to protect what was left of the Old Forest, while Treebeard looked after Fangorn... Or Bombadil may have been taken out of consideration when deeming Treebeard the oldest being (because even Bombadil's race is unknown, he could be immortal (some say Maiar, even), while Treebeard was not). Generally, though, I think it would be safe to assume that they are very close in age.